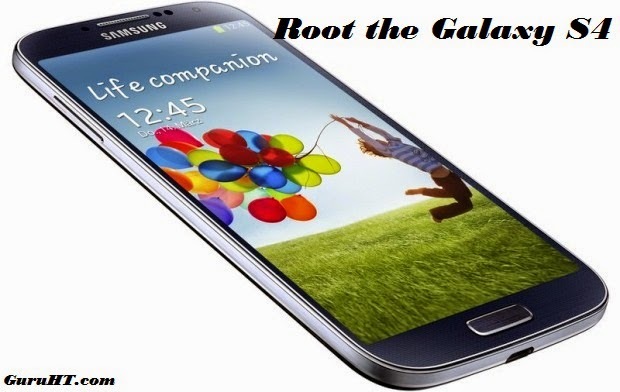 Hello again to this new smartphone Android tutorial, this time I'll guide you to the easiest way to root your official Android 4.4 ROM based Samsung Galaxy S4 GT-I9505 or the GT-I9505G, so unlock the power of your phone this one is post for you. A computer and the USB cable. Odin software, Already included on the zip file. The file to flash: Use this PDA file for the Samsung Galaxy S4 GT-I9505. Or use this this PDA file for the Samsung Galaxy S4 GT-I9505G. A working brain to understand what you are doing. First thing extract the downloaded zip file, you shold get a file like this "CF-Auto-Root-..phone_model..tar.md5". Shutdown your Galaxy S4 and enter the download mode (using power+vol down). Now run Odin and select the extracted .tar.md5 file as with the PDA button. Be aware to select the appropriate file for your phone model ! Connect your Galaxy S4, you should get a green case when all drivers installed. Now hit Start and wait for seconds. That's it, now your smartphone is rooted and you can install anything like costume ROM, Kernel, overclocking the CPU/GPU and more.